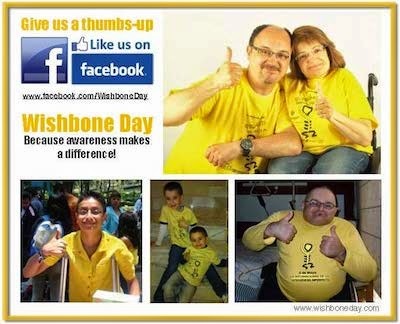 To coincide with Wishbone Day - 6 May 2011 the OI Foundation USA have announced plans for Awareness Week, to be held 9-15 May 2011. Awareness Week is a week-long national awareness campaign made up of a series of dynamic and informative promotional programs designed to increase public awareness about OI. 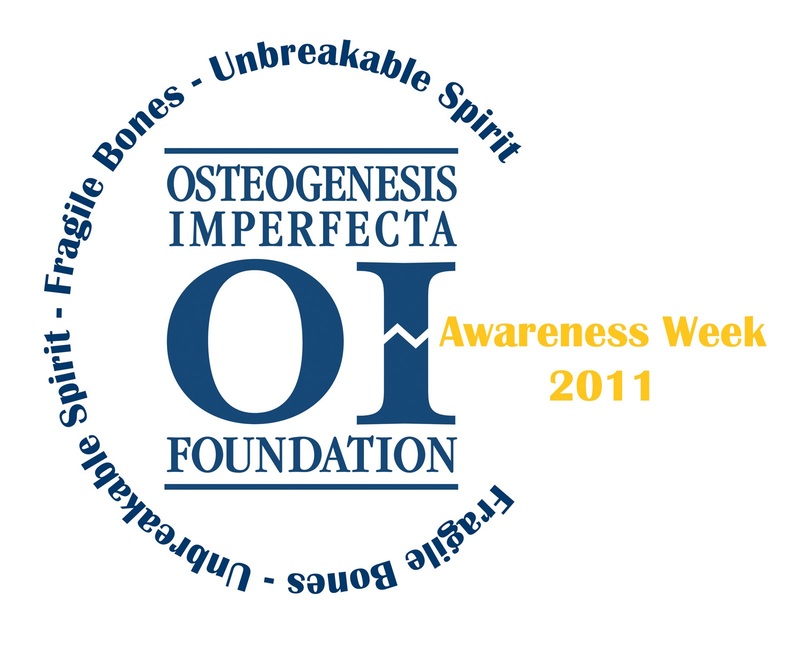 The Foundation anticipates that this national effort will not only raise awareness about osteogenesis imperfecta and also reveal that OI is not as unknown as many might think. Awareness Week is designed to be a collaborative effort of both volunteer events and Foundation sponsored events and programs. The Foundation will organise an Advocacy Day on Capitol Hill and sponsor a charity motorcycle ride. OIF Support Groups are being asked to lead outreach programs in their communities. 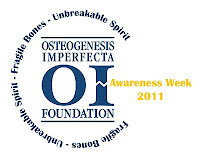 Any member of the OI Community can participate in Awareness Week by planning their own event such as a Blue Jeans for Better Bones, Walk-N-Wheel or Bone China Tea. All volunteer events will be listed as part of the Awareness Week schedule of events. The Foundation is partnering with local and national sponsors, such as Whole Foods, to help support the success of Awareness Week. With the help of the OI Community, Awareness Week will touch those near and far by educating a multitude of constituents ranging from the general public to elected officials. For more information about Awareness Week or to plan your own event to be part of Awareness Week, visit www.oif.org/awarenessweek or contact Jennifer Redding at jredding@oif.org.